DATD...I am glad that the United States Senate decided to end institutionalized lying in the military, also known as "Don't Ask, Don't Tell". We demand that our soldiers act in a manner that exemplifies the very meaning of the word honor, except of course when it comes to their sexuality, in which case we demand that they basically lie. If you want to argue that homosexuals should not serve at all in the military then do so but demand that they be banned from military service from the very beginning. Do it outright, don't demand that these young men and women lie. Writing...I have been thinking and writing about the year in the review and what I want to accomplish next year. Heady stuff. Looking back on some of the stuff from September through November has been interesting at best, painful at worst. Needless to say, 2010 has been an interesting ride. 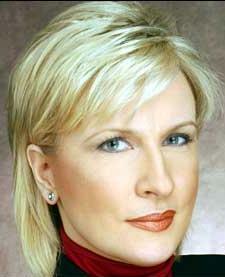 Mika Brzezinski...For the record, I just want to note that I watch Morning Joe on MSNBC just for the information. It's not to watch Mika Brzezinski. Nope. Not at all. Not in the least. Not a chance. Never. Scranton's Budget...I suspect that the next step in the fiction known as Scranton's budget will be a veto by Mayor Doherty (if it hasn't happened already), followed by an over-ride by City Council. It's all a wonderful fiction, although from what I've read, the Mayor's budget comes closer to a fiscal reality than the Evans-crafted version, if for no other reason than the fact that the latter relies on juiced revenue numbers. My take? Scranton's government is too big and it spends too much money, period. I want my garbage picked up on time. I want enough police in uniform to keep my safe. I want the minimum number of firemen required to respond to emergencies. I want the bare minimum required number of supervisors/managers/assorted paper pushers. I want people to pay their taxes and I want no sympathy for those who do not. Time Off...I end 2010 with 12.5 untaken vacation days. Fortunately I can carry them over into 2011; unfortunately I get a ton more to take next year. In a more perfect world I could cash these things in, but it ain't a perfect world. I'll just have to plan on taking a bit more time off next year. Better planning I suppose. Teen Moms...There is a larger posting in this topic. I find the whole TLC (I think it is TLC...) Teen Mom show sickening. Now I actually have watched it, so I can claim some knowledge on the topic. I know the show attempts to provide a realistic impression of teen pregnancy and parenting, but it's still a television show that is making stars out of people who basically made some really, really bad choices. Maybe this is the father of three daughters talking, but I find this so disturbing.